Art of the Home is featuring a priceless live performance of Édith Piaf with her last husband Théo Sarapo singing “À quoi ça sert l’amour?” (What do we need love for?). À quoi ça sert l’amour? is an upbeat song about love and life, full of joy and hope, that will make you want to kiss and hug your other half! We translated it for you: such simple and yet beautiful words! And of course, Édith Piaf pours all her heart and soul into this great performance! The lyrics and the music are from Michel Emer (1906-1984) who also wrote “L’Accordéoniste” for Édith Piaf. So check below for this incredible duo between Édith Piaf and the last love of her life, as well as Art of the Home “À quoi ça sert l’amour?” translation. Enjoy! Édith Piaf (1915-1963) and Théo Sarapo (1936-1970), À quoi ça sert l’amour? À quoi ça sert l’amour? What Do You Need Love For? À quoi ça sert l’amour? What do we need love for? À quoi ça sert d’aimer? What do we need to love? L’amour ne s’explique pas! Love cannot be explained! C’est une chose comme ça! It’s a thing just like that! L’amour ça sert à quoi? Love, what is it for? C’est triste et merveilleux! It’s sad and wonderful! L’amour c’est éternel! Love, it’s eternal! Un souvenir de joie! A joyful memory! Sans ses joies, ses chagrins, Without its joy, its sorrows. On a vécu pour rien? We would have lived for nothing? Mais oui! Regarde-moi! Well yes! Look at me! À chaque fois j’y crois! Each time I beleive in it! Ça sert à ça, l’amour! This is what we need love for! Mais toi, t’es le dernier! And you, you are the last one! Mais toi, t’es le premier! And you, you are the first one! Avec toi je suis bien! With you, I feel good! C’est toi que je voulais! It’s you I wanted! C’est toi qu’il me fallait! It’s you I needed! 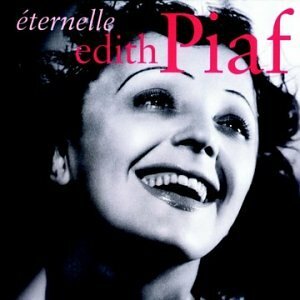 For more songs by Édith Piaf, check the Art of the Home Édith Piaf Music Channel.